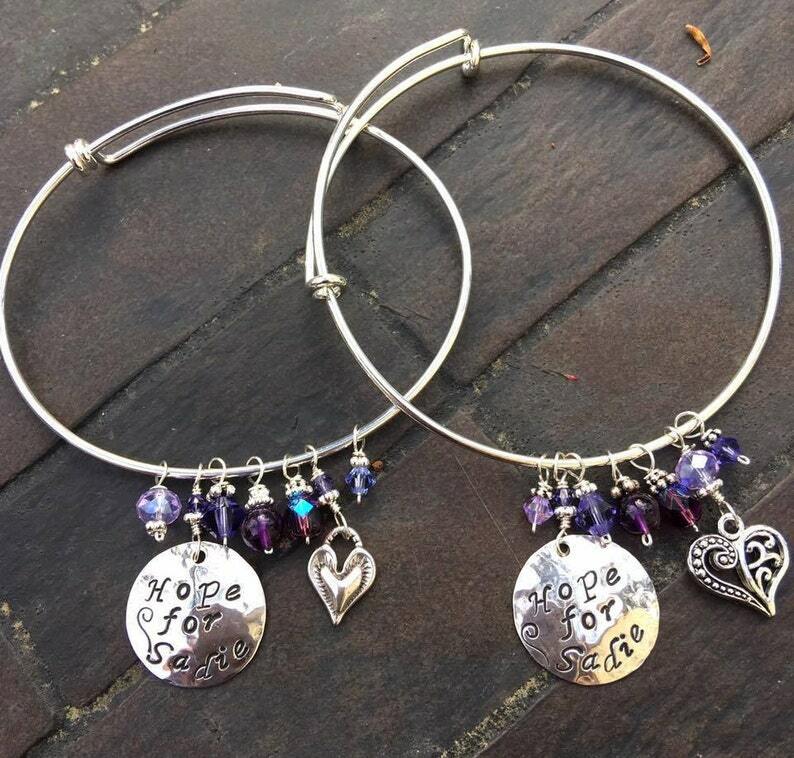 The "Hope for Sadie" Silver Charm Bangle Bracelet is fundraising bracelet. 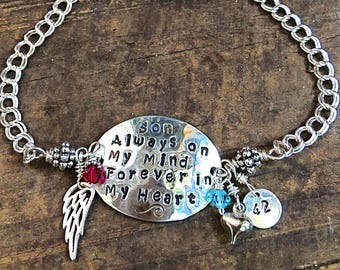 $10 from each sale will go to a child fighting SMA. This bracelet features a hand-stamped sterling silver disc with a heart charm, Purple beads (Amethyst and Swarovski crystals). ~ You may choose from a silver-plated recycled metal Bangle base or sterling silver Bangle base. Please make your selection before you check out. I/Mermaid Tears Jewelry recently designed three pieces of jewelry to help raise money for Sadie's care and SMA. Please take a look at my "Hope for Sadie" Bangles and Necklace. $10 from each piece I sell will donated to this charity.